Located in the heart of Port Mayaca, Florida, just 9 miles west of Beeline Highway, Lake Point Restoration is an FDOT Certified Mine #89-673. We produce a wide variety of products, which include coarse aggregate, base rock, Rip Rap and specialty sand products. ​In a novel approach to mining, Lake Point Restoration is a unique public-private partnership approved unanimously by both the Martin County Board of County Commissioners and the South Florida Water Management District. The project will culminate in a land donation valued at over $60 million in successive stages to the South Florida Water Management District and to Martin County. With all DEP Permits in place, it allows for large scale mining operations of up to +/-1,000 acre lakes of mining and access to 60 million tons of aggregates. 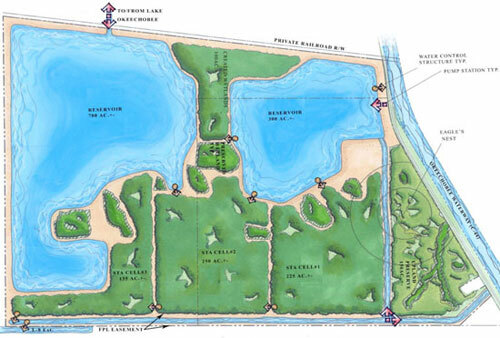 ​ Lake Point Restoration is the market leader in the area when it comes to moving "rock". The mining operation currently produces 1 million tons of material per year. LPR has contracted direct with the Army Corp of Engineers, SFWMD, Palm Beach County Roads and Bridges, and Martin County Engineering. Our main customer base includes local heavy highway contractors who build the infrastructure improvements in the area.